Phillip Blackman is an illustrator from Sussex, England, who struck it big with the zombie teddy bears he's selling online. 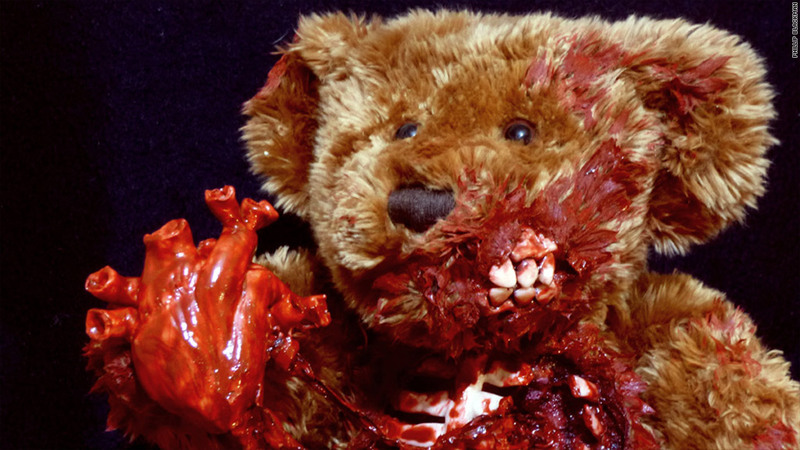 Forget chocolates and roses, zombie teddy bears may be the way to your Valentine's heart. It was just another day a few weeks before the Hallmark holiday when Phillip Blackman got the urge to tear out the guts of an old teddy bear and to turn it into a zombie. Blackman, who studied special effects and now works as an illustrator, toiled away for two days at his home in Sussex, England. What he ended up with was a snarling, blood-soaked bear holding up a heart torn out of its gristly, exposed chest. Impressed by how well his creation turned out, he tried his luck at selling it on the online craft marketplace Etsy. Photos of the bears, which he calls Undead Teds, made their way onto Twitter and Facebook, and his little experiment took on a life of its own. "I can't make them fast enough," he said. "Lots and lots of people are clamoring for more." Blackman has made and promptly sold out of more than 30 bears over the last several weeks, and that's still not enough to keep up with demand. On Tuesday morning, two new bears sold out in less than a minute, as people are eager to snap them up in time for Valentine's Day. The bears go for between $70 and $140. 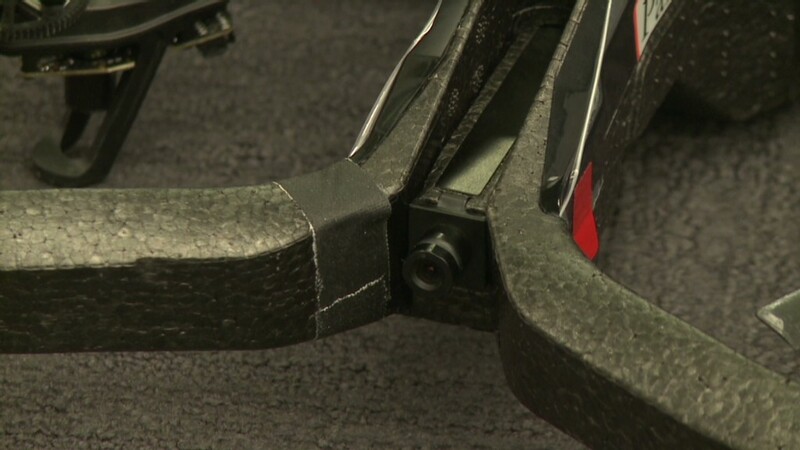 One is currently up for auction on eBay, with bids reaching nearly $400. Zombie enthusiasts from Australia to Abidjan have frantically requested Blackman to make more. "Does this mean we won't be able to get one before Valentine's Day," one bear seeker posted on the Undead Ted Facebook page after a bear got sold out from under her. "We will have to kill our own [teddies]," another fan responded. Since Blackman gets the bears from thrift shops and yard sales and the other materials are relatively inexpensive, he's taking home a hefty profit. But with each bear taking two days to make, he said people are getting their money's worth. "In terms of time, they cost me quite a lot," he said. Blackman never saw this coming, but he's not all that surprised with the success given the ubiquity of zombies in pop culture. The thirst for the walking dead has been splashed across TV shows, blockbuster movies and bookshelves over the last few years. "The zombie thing seems to be hitting the spot. Then when you combine that with the teddies, and who doesn't love a teddy, people seem to go crazy for them," he said. "You know, there are always people who like the macabre." This may be a cottage industry for Blackman, but it fits squarely within a bigger trend that's been sweeping across the toy business. Toy stores today are brimming with undead goodies, from Legos to dolls to board games. And they're selling, too. Last week, the toy maker Mattel (MAT) reported that its ghoulish Monster High dolls drove sales up 57% for its girl-brand division in 2012. A handful of people have asked Blackman to start selling Undead Teds wholesale to toy stores, and one online retailer tried to place an order for 100 bears at higher than asking price. He had to turn them down, since he can't keep up with the production. "I have more demand than I can cope with at the moment," he said. The lifespan of zombie bears may be a limited one, Blackman admits. But he's hoping that the exposure will boost his illustrating career. "I'll keep doing this for as long as people are interested in buying them."